Before we can start with the implementation guide I want to give a brief description what key functionalities must exist. This will be the first post in my Horizon Guide implementation section. Since my focus is on Horizon I will not go through each of the steps that are involved in setting up the foundation. If you want to get a feeling of the purpose of my blog series: Check it out here. In my design guide I will write a little bit about general design decisions regarding the management & virtualization topic. In my implementation guide I will quickly go through the setup I have chosen. As a side note I want to remember you to always use English Language and Keyboard Layout :-). Going into native US-Mode for all kind of setup will keep a lot of pain away from you. Join vCenter Server Appliance to the Active Directory Domain. Configure an Active Directory Group for vSphere Administrations and give this AD group an Administrators role in the Global Permissions section. Tip: If you cannot access AD-Groups/User remove and re-add the Domain from the SSO-Configuration Identity Sources. Make sure your vCenter is backed up properly (via a vSphere API Data Protection tool & integrated Backup mechanism in the vCenter Server Appliance (vCSA). With the vCSA 6.5++ you have an integrated HA-mechanism. Validate all components (firmware, driver, SCSI-Controller) against the vSAN HCL. Dedup / Compression only available within an All-Flash vSAN Configuration. Update to vSAN 6.6 to get rid of the multicast network requirement. Dealing with certificates in Horizon is important. 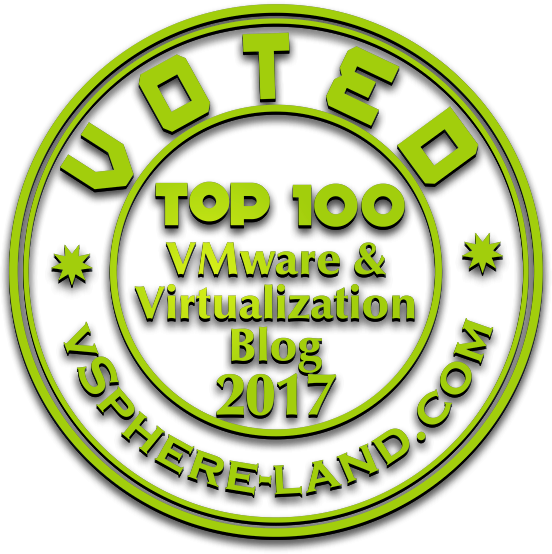 Dealing with certificates in other VMware products might be less important (depending on companies security policies) but quite painful. To make sure we can built a fully-featured Horizon environment it is important for us to have a Certifiacte Authority in place installed on a dedicated Windows Machine. Since I am not an Windows expert I refer to the following blog post on how to set up such an environment in your lab. Make sure to create a root certificate key based on SHA-256 with a key length of 4096. Otherwise modern Browsers like Chrome will still complain if you connect to a web-service having a ‘CA-signed’ certificate. An Active Directory Domain is mandatory for all kind of Horizon functionality. Since I am not an Windows expert I refer to the following blog post on how to set up such an environment in your lab. Make sure to create the VM hosting the AD-Role manually or select the change SID option when cloning and customizing the machine from a Windows Server template. Windows instances with the same SID as the Domain Controller will not be able to join the domain.